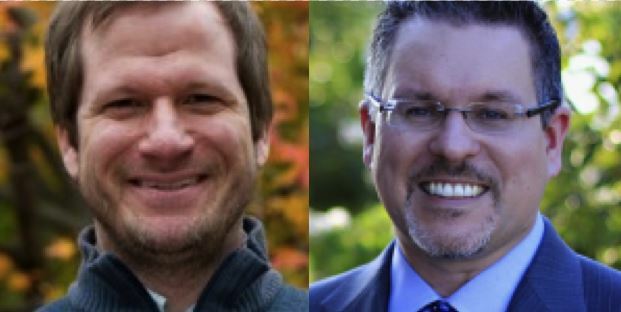 KaiNexus has a webinar series called Ask Us Anything, in which our CEO and Co-founder Greg Jacobson and Mark Graban, our Vice-President of Improvement & Innovation Services and founder of LeanBlog.org, join forces to answer questions KaiNexus webinar listeners ask. In this post, we'll look at two questions and answers from a recent webinar. Graban started off by stressing that this is an important challenge from a leadership behavior standpoint. Often, when discussing Lean or continuous improvement efforts with an organization he is told that leaders support the initiative, but it’s not clear what is meant by support. Software is of course another way senior management can increase their visibility and support for continuous improvement. Jacobson touched on how creating a digital dashboard for leaders, giving them a window into their Key Performance Indicators (KPI’s) as well as providing them with visibility into all the improvement work happening, is helpful in getting leaders involved and in opening the lines of communication with staff regarding improvement efforts. Coming back to the question at hand, which asked for inventive methods to improve senior management’s visibility and support for continuous improvement, Jacobson said that BHAG might do the trick. Jacobson explained that Jim Collins, author of several leadership books including the bestseller Good to Great, has talked about BHAG (Big Harry Audacious Goal) in his books and on his website jimcollins.com. A BHAG is a big, clear, and compelling goal that an organization takes on. As Jacobson explained, a BHAG is not supposed to be financially driven, but it should be something that if the organization achieves it, would really move the needle forward and indicate the organization has accomplished something. “I think a BHAG was just a really great way for us here at KaiNexus to get me emotionally involved in what we were trying to accomplish this year,” Jacobson said. In 2016 the KaiNexus BHAG was to have over 25,000 improvements completed in the system by the end of the year. At the beginning of 2016 just over 12,000 improvements were in the system, which were accomplished from 2011 through to the end of 2015. KaiNexus concurred the BHAG, and Jacobson lost his hair, but was happy to do so. “I think a BHAG is a great idea to get senior leadership involved, not that they have to commit to shaving their head; maybe a small tattoo or something like that,” Jacobson joked. How can we sustain improvement activities and prevent slipping back to old habits? Graban explained this can be a problem with improvement event methodology, specifically when an event team creates a new process they believe is better to be handed off to the people actually performing the work. Jacobson agreed, saying the failure is often in implementing the change, versus what happened after the change was implemented. That's it for now, be sure to subscribe to the blog to catch future posts with questions and answers from the KaiNexus Ask Us Anything webinar series!